harvesting yellow … yes, yellow! After so many lovely browns in my palette of natural dyes, I have despaired of seeing anything but brown when I lift my wool roving from the dye pot. A friend suggested I try Goldenrod (Solidago sp.). 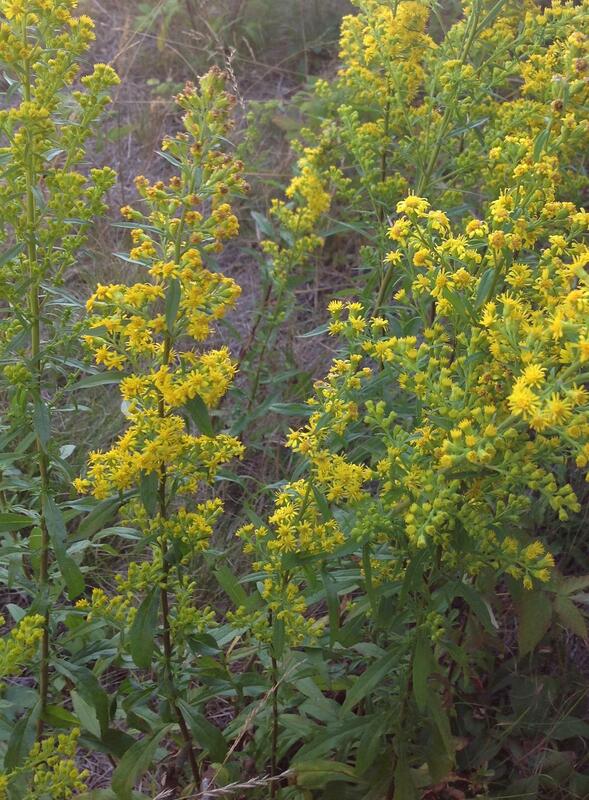 Goldenrod, in a variety of species, is plentiful along the roads this time of year. 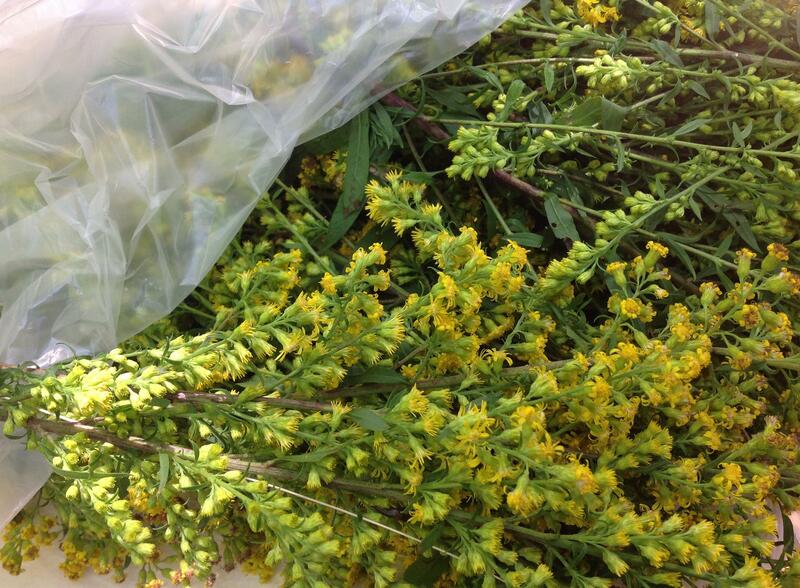 So, this week, on a drive to see our newly opened section of Route 8, we stopped long enough to collect a bag of Goldenrod. Collecting Goldenrod is new to me. 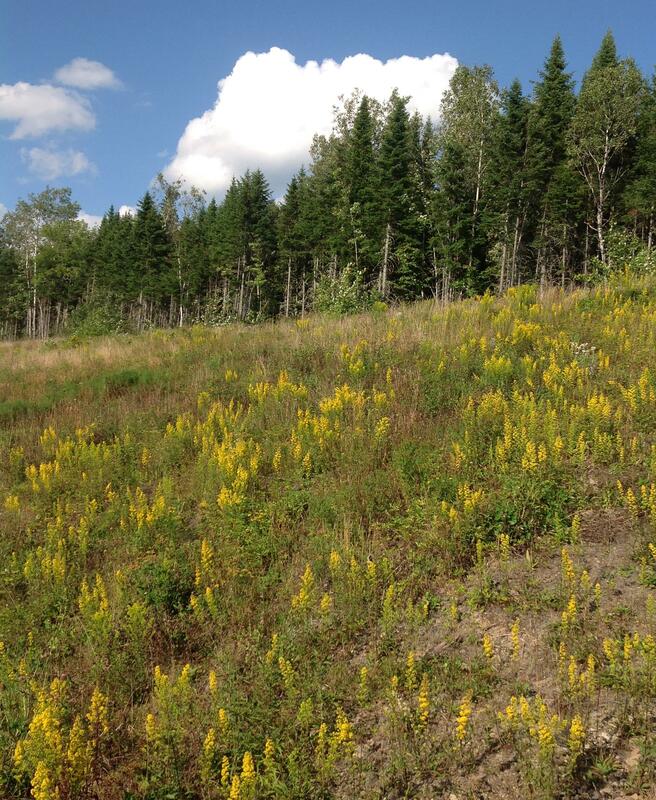 I am always worried it may cause hay-fever, but I learned during my fact-finding – Goldenrod is rarely responsible for triggering allergies. Its pollen is large and heavy and transported by insects and not the wind. Ragweed is the real culprit, according to my reading. The collecting experience? Bright and very aromatic. 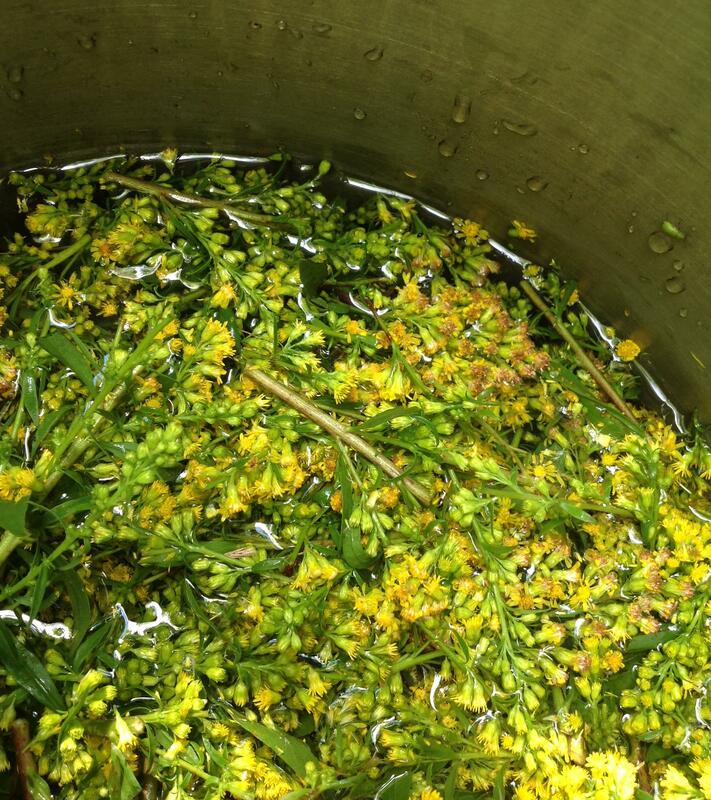 Smelling Goldenrod is like stuffing your nose in a dandelion. I had lots of material to work with, so preparing the pot of dyestuff was enjoyable too. And the smell as it boiled – very sweet. Most of the plants I’ve used for dyestuff have an unpleasant smell like boiling cabbage. 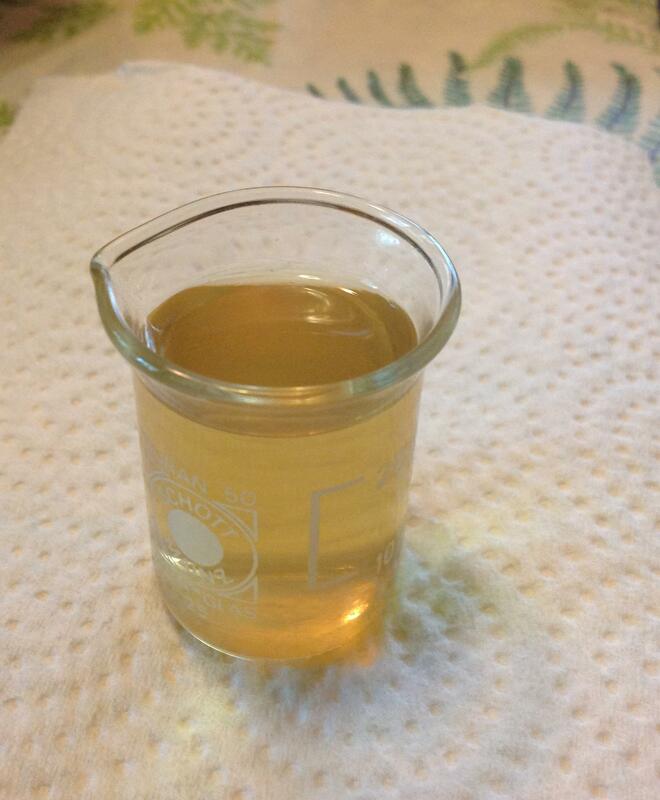 The result was a yellow dye. But since the colour of the dye seems unrelated to the resulting colour of the wool, my expectations were low. 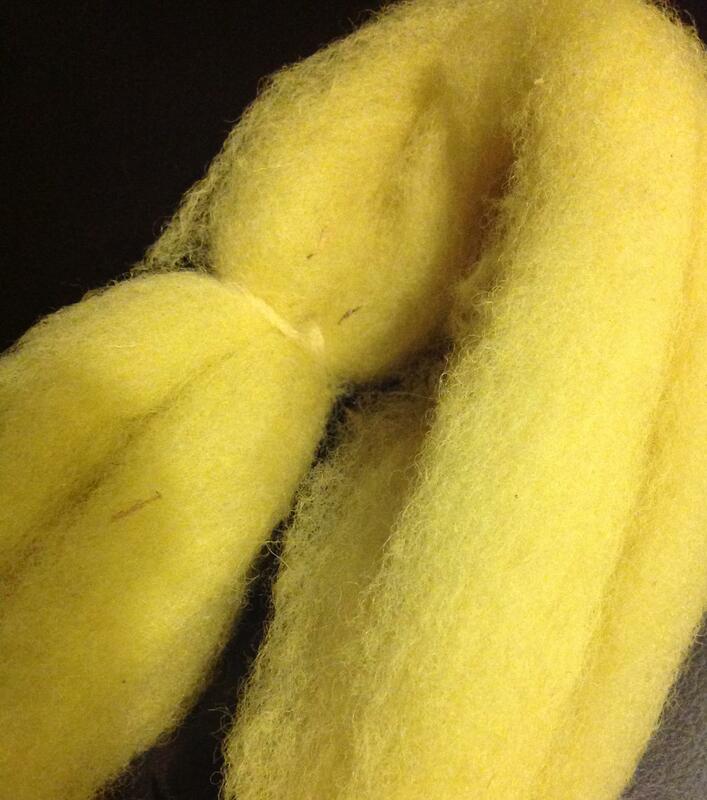 Imagine my joy when the wool emerged from the dye-bath a beautiful lemony yellow!